<?xml:namespace prefix = v ns = "urn:schemas-microsoft-com:vml" /><?xml:namespace prefix = w ns = "urn:schemas-microsoft-com:office:word" />The National Peace Award winner, Malala Yousafzai, who was attacked in Swat, is currently under treatment in CMH Peshawar. 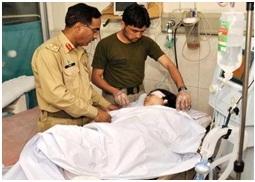 Later, Malala were taken to Peshawar via helicopter and admitted in CMH Peshawar. It is important to mention that Malala had been receiving threats to her life, after which she was provided with a special car and unarmed security personnel. According to the electronic media reports, Taliban (TTP) has accepted the responsibilities. 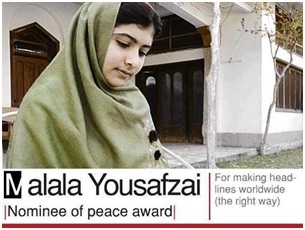 Malala Yousaf zai is one of the best-known schoolgirls in the country. Young as she is, she has dared to do what many others do not - publicly criticise the Taliban. According to BBC, Malala's confident, articulate campaign for girls' education has won her admirers - and recognition - at home and abroad. She has appeared on national and international television, and spoken of her dream of a future Pakistan where education would prevail. Even by the standards of blood-soaked Pakistan, there has been shock at the shooting. It has been condemned by Pakistan's Prime Minister, Raja Pervez Ashraf, who sent a helicopter to transfer Malala to hospital in Peshawar. The head of Pakistan's Independent Human Rights Commission, Zohra Yusuf, said "this tragic attack on this courageous child" sends a very disturbing message to all those working for women and girls. All segments of society are praying for her health and are condemning activists, those desire to enforce their own agenda against the will of general public. Notably, the said terrorism occurred just after the long march of Imran Khan. There could be the possibility that firing on courageous Malala has been carried out by Afghanistan sponsored anti Pakistan Taliban. CIA and her allied agencies quite notorious in using dirty tricks for completion of their own designed agenda against Pakistan and in other countries. Notably, PTI Chief Imran Khan through a peaceful conduct of “Long March” in tribal belt of Waziristan gave positive message that people of Pakistan demand that their sovereignty should be respected and killing of innocent people through drones be stopped. 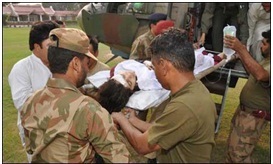 Thus, targeting Malala through anti Pakistan Taliban could be one of the episodes of jeopardizing local peace efforts and pressurizing Pakistan to carry out operation North Waziristan. 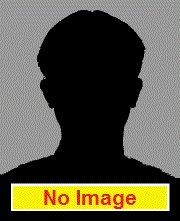 In this connection, there are reports that for implementation of hidden aims, especially, RAW has hired the services of many Afghan Muslims of Northern Afghanistan. Posing themselves as militants, they have joined the ranks and files of the outlawed Tehreek-e-Taliban Pakistan (TTP) and other extremist outfits. Earlier, US Secretary of State Hillary Clinton during her visit of Islamabad in 2011, agreed with Pakistan’s stance, saying, “Now US is realising that launching new military operation in North Waziristan does not suit Pakistan’s situation.” Replying to a question that the Inter-Services Intelligence (ISI) was involved an assault on the US embassy in Kabul on September 13, 2011, she categorically pointed out, “We have no evidence.” She also requested for Pakistan’s help to “encourage Taliban to enter negotiations in good faith” including the Haqqani militants. Pakistan’s Interior Minister Rehman Malik and top civil and military officials have repeatedly disclosed that training camps are presence in Afghanistan, and supply of arms and ammunition to the Baloch separatists and Pakistani Taliban keeps on going by the external elements as part of a conspiracy against Pakistan. The internal dynamics of Pakistan, however, dictate that a detailed and comprehensive strategy be formulated to cleanse areas infected by terrorism through shrewd corrective measures and judicious action with least collateral damage. Such strategy has to be indigenous one with blend of native society. In short, we must get up to support security forces in elimination of all type of militancy whether foreign or locally sponsored activists. We must salute to courageous daughter of Pakistan “Malala yapusaf Zai” and pray for her health, safety and completion of her innocent but beautiful dreams regarding girls’ education.